It’s your pick! 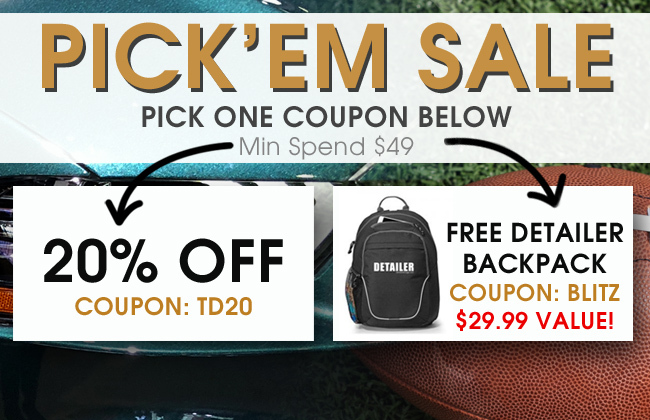 Pick 20% off using coupon code TD20 or get a free Detailer Backpack using coupon code Blitz from 9/13/2018 through 9/15/2018. Minimum spend $49 required. Save big with 20% off or get a free Detailer Backpack valued at $29.99!